For more than 20 years, Voices has been a leader in advocating for improved child and family health policies. We support health care reform initiatives in Virginia that increase access to affordable health insurance and quality health care for children and families. Virginia is on the right path: currently, 95 percent of children in the commonwealth have health insurance. Approximately 720,000 of them have health insurance through Medicaid or the Children’s Health Insurance Program, which is known as CHIP nationally and FAMIS here in Virginia. 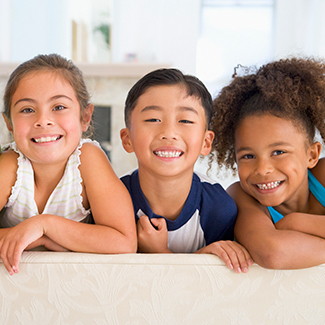 An additional 50,000 children have health insurance through plans on the Affordable Care Act (ACA) marketplace. In 2017, Congress is contemplating a number of policy changes that could have a devastating effect on children’s health insurance rates, and therefore, access to the preventive and treatment services they need. Repeal of the ACA, changing Medicaid to a block grant or per capita cap with less funding from the federal government, and the end of CHIP funds without congressional action all threaten the positive gains made for children’s health. Protecting Medicaid financing so that eligibility and benefits for children are not rolled back. The vast majority of kids enrolled in public insurance are on Medicaid. A clean extension of CHIP for five years, including the maintenance of eligibility and the enhanced federal match. With the future of the ACA marketplace in question, having a stable, affordable insurance program for the children of low-income working families is more important than ever. We are working to educate the Virginia Congressional delegation, Governor Terry McAuliffe, who currently chairs the National Governors Association, and our state legislators, who will have to decide how to implement any policy changes made at the federal level. You can help by sharing your story about how your children’s health insurance has benefited your family if your kids have Medicaid, FAMIS, or an ACA Marketplace plan. Up to 400,000 Virginians fall into the “health care coverage gap” and cannot access the health care insurance and services they need. As an active member of Healthcare for All Virginians (HAV), a coalition of organizations and individuals advocating for accessible and affordable quality health care for all Virginians, Voices strongly supports closing the health care coverage gap for all Virginians through a plan that will ensure that families and children do not fall through the cracks. So far, Virginia has chosen not to expand Medicaid. With the future of the ACA uncertain, expanding Medicaid to a larger population seems unlikely, but Voices will continue to monitor the changing policy landscape and lift up the needs of parents. This issue is critical for the well-being of Virginia’s working families, as nearly one third (29%) of the adults who fall in the coverage gap are parents of children under the age of 18. That means approximately 120,000 low-income working parents in Virginia have no health insurance coverage and would benefit from this policy change. Parents with health insurance are more likely to seek health insurance coverage for their kids and take them to the doctor for preventive care. When low-income parents have health insurance, their family is less likely to be thrown into financial crisis by unexpected medical bills. That means parents have more resources to spend on meeting their kids’ basic needs, like food, shelter, and clothing. Maternal depression has a profound effect on children’s health and development—studies show connections between maternal depression and behavioral problems, injury of children, ADHD, and other health problems. When mothers have access to health coverage and services, they are better positioned to seek and receive treatment for such depression. Poverty is the single factor most associated with maternal depression and poor child outcomes, meaning that low-income, uninsured moms in Virginia are at a higher risk for maternal depression. Providing health insurance to low-income parents has a direct link to the healthy development of children. Virginians Speak Out – summarizes citizen opinion on the current state of children’s mental health services in Virginia. For more information about FAMIS programs and eligibility requirements, or help with enrollment, read the CHIP fact sheet. Project Connect outreach workers provide free one-on-one help to parents and pregnant women with questions about FAMIS programs. Call SignUpNow for help at 1-804-828-6062. Go to the CoverVA website.